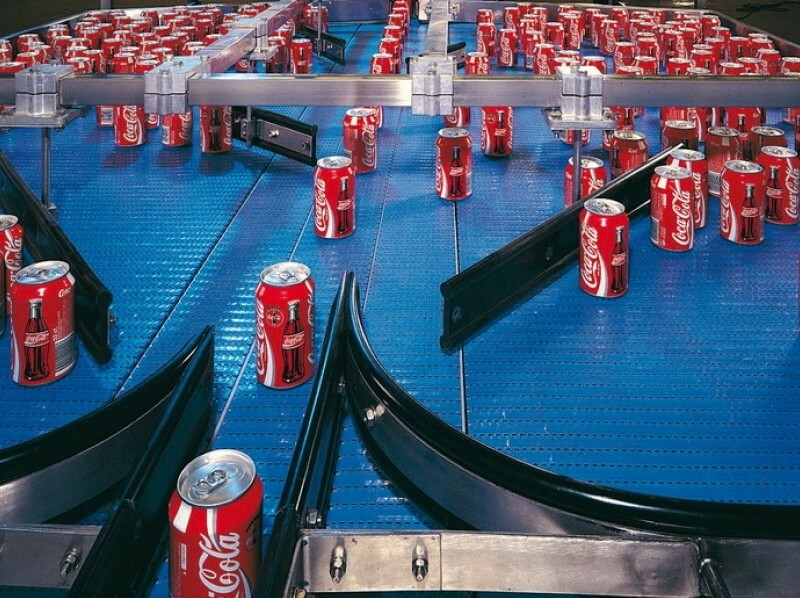 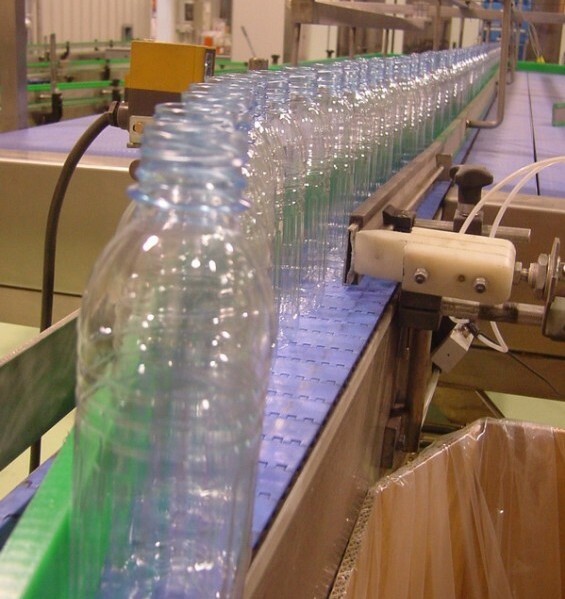 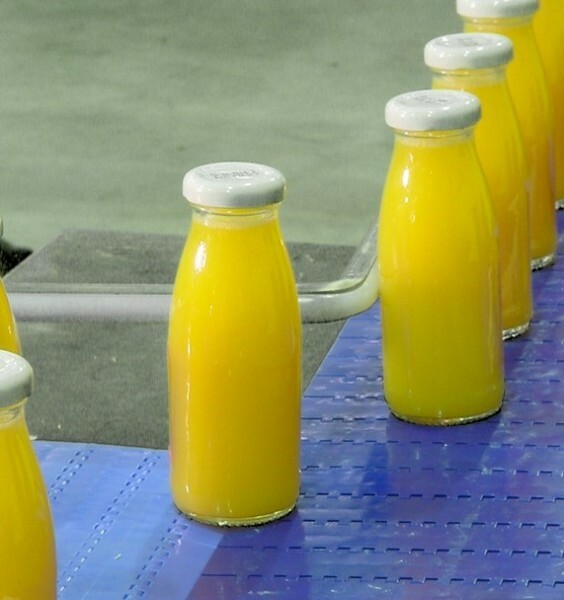 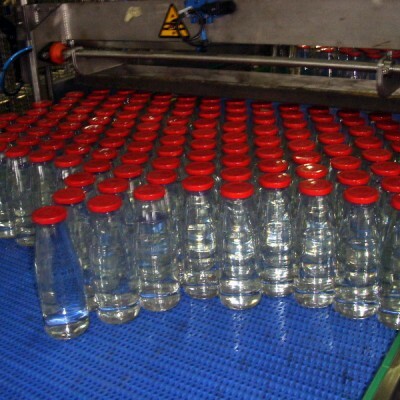 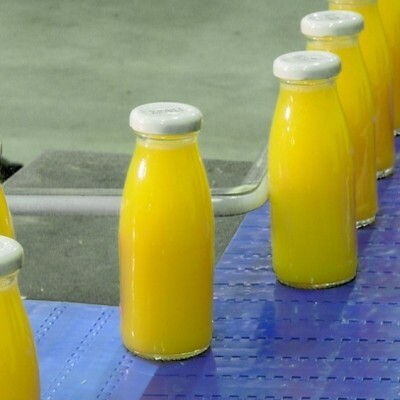 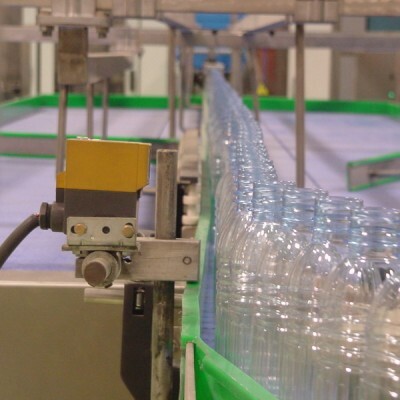 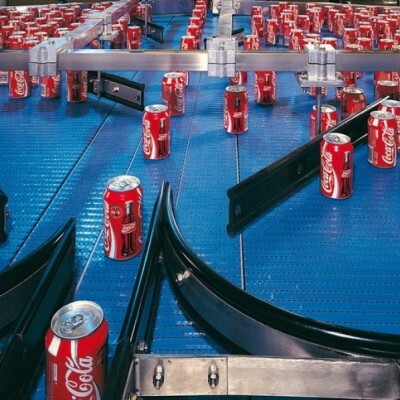 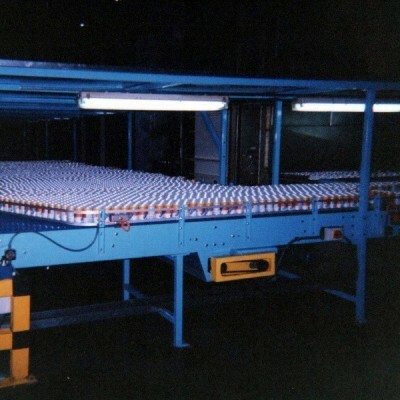 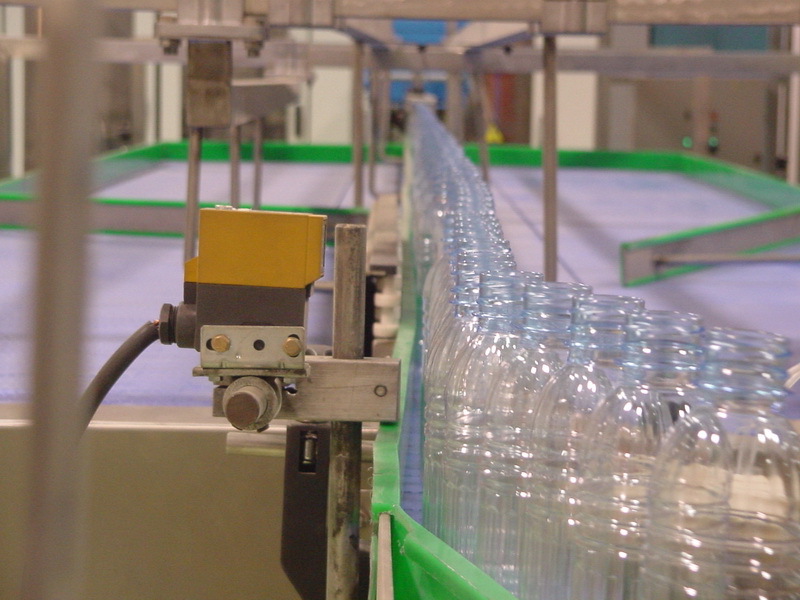 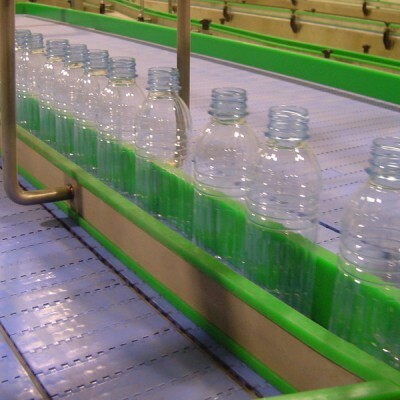 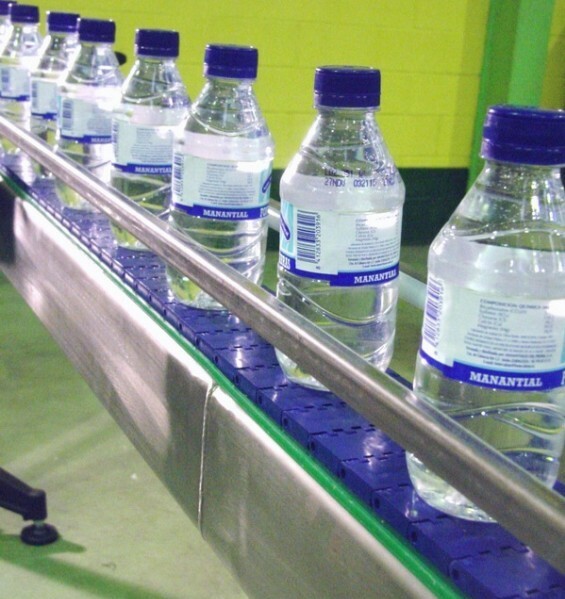 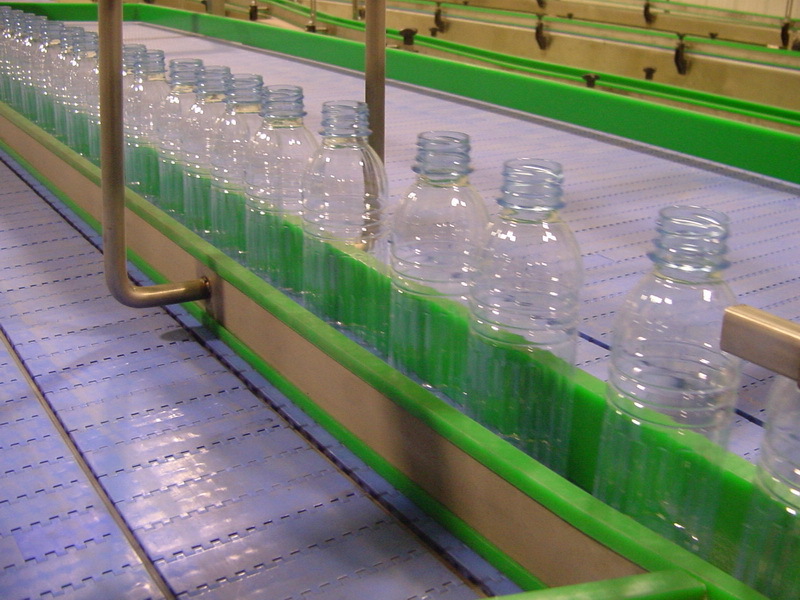 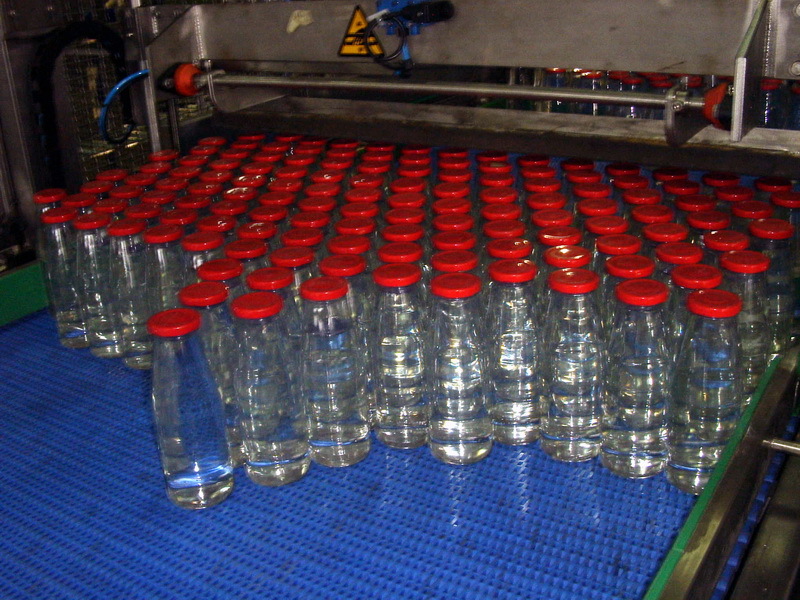 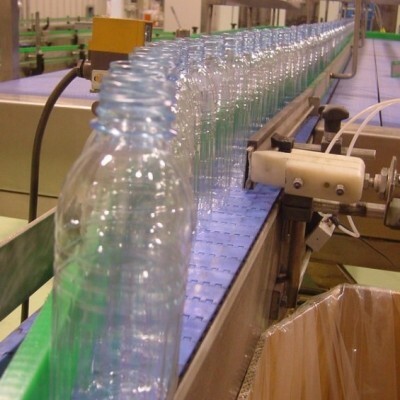 In the past the beverage bottling industry was very noisy due to the use of metallic chains working at high speed. 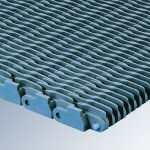 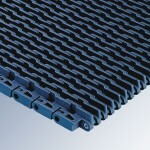 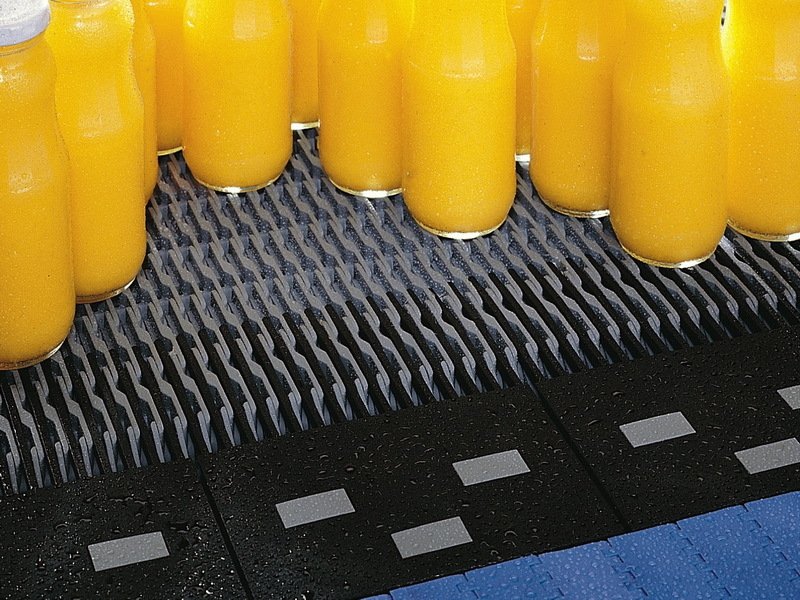 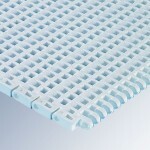 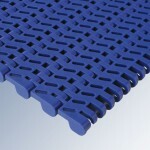 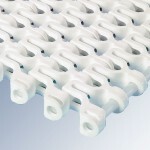 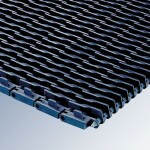 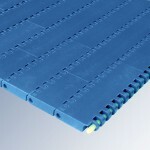 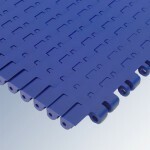 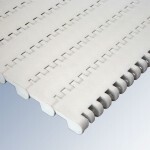 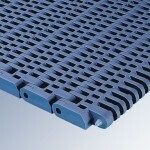 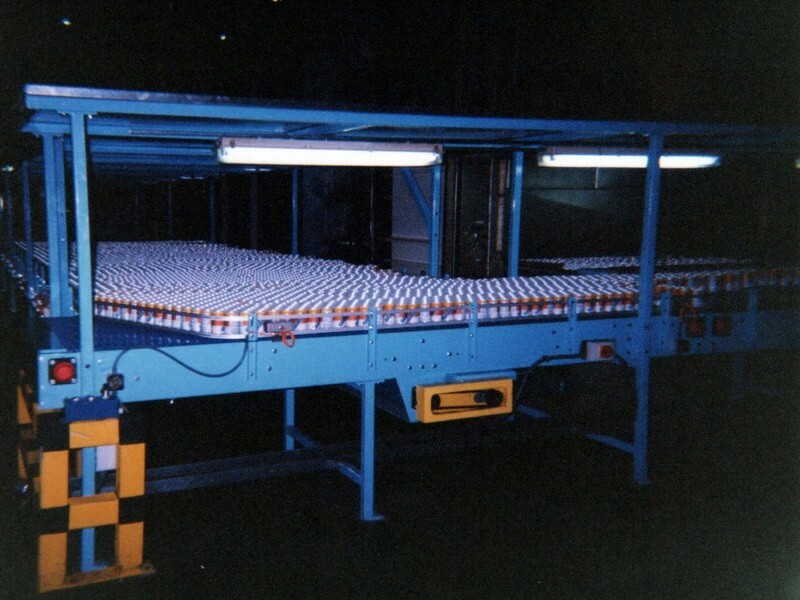 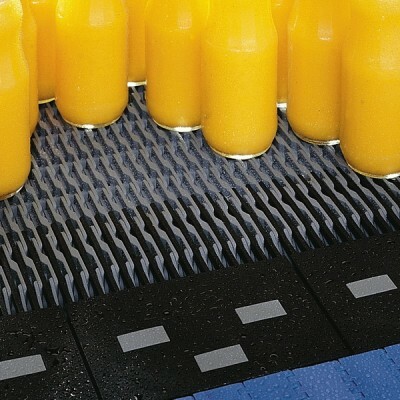 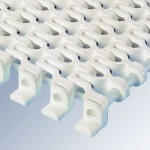 Nowadays the plastic modular belt system reduces the noise rate at very acceptable levels. 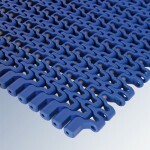 The use of metallic chains also entailed a high cost in mechanical maintenance, as well as a great consumption of lubricants for decreasing the friction coefficient in order to avoid their premature wear. 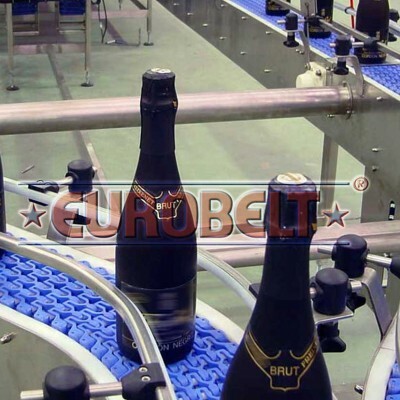 The maintenance cost of the plastic materials used for manufacturing the EUROBELT modular belts is the lowest, as they do not need any lubrication, which avoids not only the lubricant expenditure, but also the rejection of bottles due to their impregnation with those liquids. 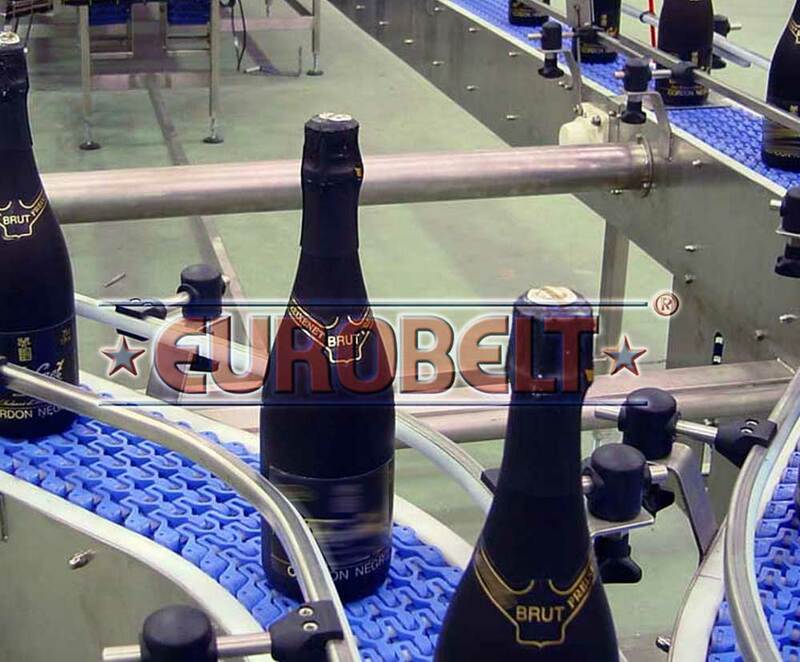 EUROBELT has recently developed the C12 belt, with a 12 mm pitch, with which product can be transferred at turn diameters up to 18 mm. 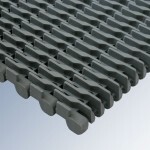 This belt enables product transfers without finger plates or uncomfortable dead plates, and with a very low noise level at working speeds of 150 meters per minute.